Sri Thillasthanam Swamy Kainkarya Sabha was formed in the year 1957 to commemorate the memory of HH Sri Satagopa Ramanuja Yathindra Mahadesikan fondly called as Sri. 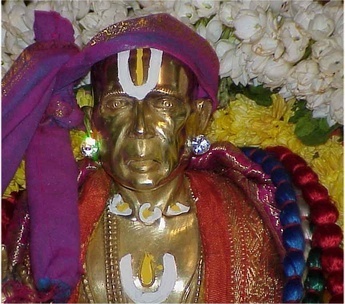 Thillasthanam Swamy. The Sabha has been celebrating his Thirunakshatram and Aradanam since then without fail Year 2016 marks the completion of 60 years since the sabha was formed . A good number of scholars and public assemble at Sri Prasanna Krishnaswamy temple , Tulasivanam , Majestic Bangalore and conduct Sevai - both Divya Prabhandam and Veda and large number of people congregate on these occasions. HH Sri. Swamy's Brindavanam is located at near Dasavarathara Sannidhi Srirangam near Trichy town . HH Sri Swamy would stay for long periods at Bangalore , and would conduct his programme of lectures at Sri. Prasannakrishnaswamy temple , Thulasithottam , Majestic Bangalore. 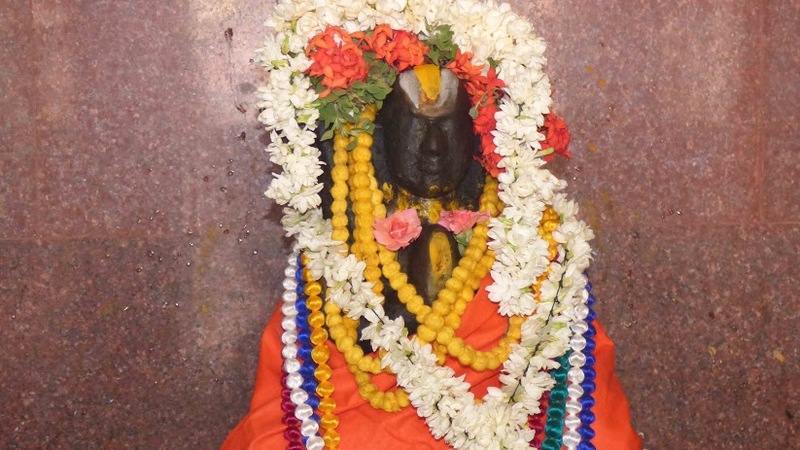 He took great interest in the working of the Prasannakrishnaswamy temple and organised the worship procedure at the temple , according to Agama and Vedic precepts. He also arranged the installation of Divya Mangala Moorthi of HH Sri. Adivan Satagopa Mahadesikan at the temple. Sri. Thillsthanam Swamy's Divya Mangala Moorthi has been consecrated at Sri. Prasanna Krishnaswamy temple Bangalore . HH Sri. Thillasthanam Swamy's Original Paduka is safely preserved at the Sri. 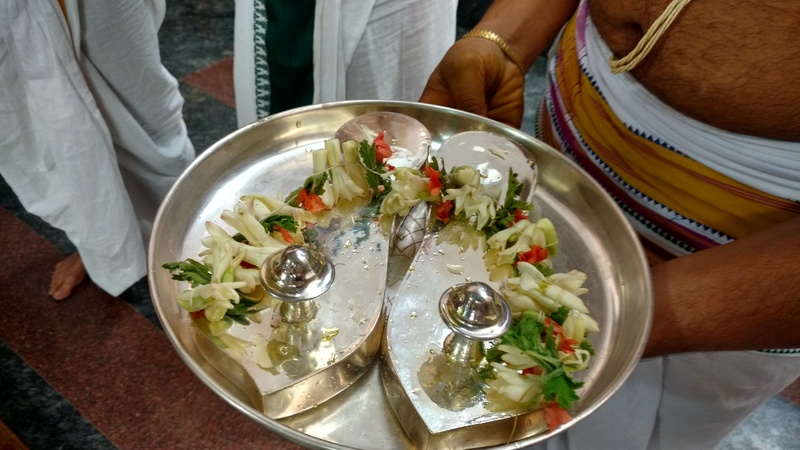 Prasanna Krishnaswamy temple and devotees are offered Paduka Teertham during Swamy's Tirunakshatram and Aradhanam functions . 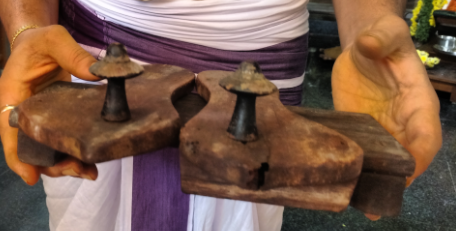 Only recently in year 2016 in order to preserve the Original Paduka for the future generation the Sabha undertook to provide a Valli Kavacha (Silver Covering ) for the same . The Sabha has taken up to promote the objectives set out by Sri Sadagopa Ramanuja Yathindra Mahadesikan ( Sri. Thillasthanam Swamy ) in a humble way . Sri. 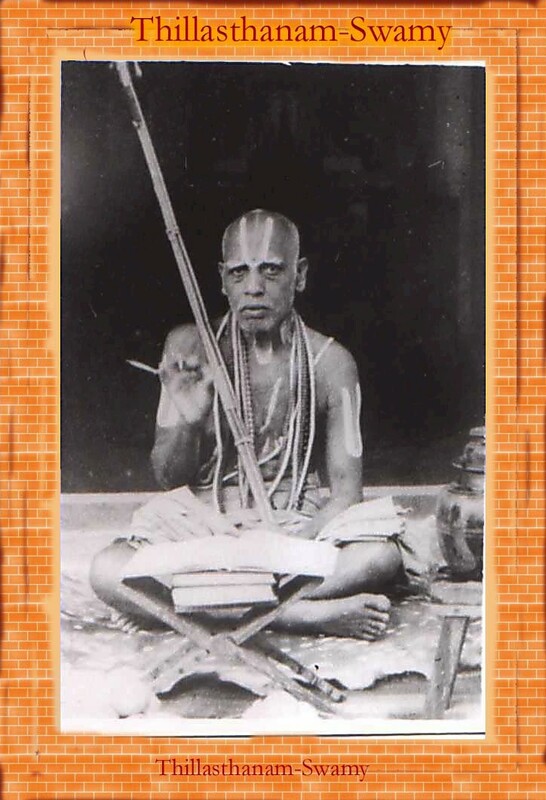 Thillasthanam Swamy laid great stress on Sandhya prayers and meditation of the Lord through Srivaishnava mantras . The sabha's first effort was therefore to bring out in a simple way the essence of 'Srivaishnavism' by bringing out it's first book 'Srivaishnavism' . After the success of this book and based on several requests the next book was 'Sandhyavandanam' and later followed up by several similar books and pamphlets entitled 'Vedic Pranayamam' , ' Vedic Approach to Healthy Living ' , 'Vedic Rituals - Their relevance today ' , ' Vishishtaadvaitha', ' Upanayanam' , ' Vedic Wedding ' and recently ' How God Regulates Human Life - Ramanujas Vishishtaadvaitha “ in the light of discovery of God Particle by Dr Higgs Boson “ Relevance & Significance ) . Book previews are available on the web site . The objective of this web site is to share the information in this area with others on Global basis via the Internet . In line with this objective , all the books are very nominally priced and can be sent by Courier / Speedpost upon request to addresses in India and by ebook for requests outside India. Please contact us for your requirements with your full address and phone number. Sabha is really thankful to all it's Past Presidents , Secretaries & Committee members who have contributed in one way or the other to build the Sabha into a robust organisation and more specifically to it's previous President Late Sri. Velambur R Narasimhan for his yeoman services to the sabha and who was also instrumental in the Sabha bringing out it's book publications and also most of the content for this website . This Web Site has been sponsored by (Late) Dr. M.N.Gopal and Smt. Dr. Sudha Gopal in memory of Late Sri. Madabhushi Narasimha Iyengar & Late Smt. Janakamma . The Sabha acknowledges with thanks encouragement , help and support of all it's well wishers & patrons that has allowed the sabha to keep up it's activities .